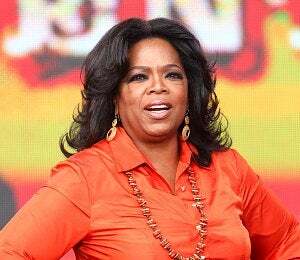 There was more than the new year to celebrate this past weekend as Oprah debuted OWN: The Oprah Winfrey Network. So far, reviews of the queen of talk's cable network have been at both ends, some very positive, and others highly critical. New York Times TV critic Alessandra Stanley calls the network "a place where cynicism takes a holiday and mockery hasn't yet been invented," while The Root's Jennifer Mabry wonders why the Oprah hasn't created more programming catering to "upwardly mobile, upper-middle-class Black folk..." Here's what you had to say: Shawn commented via Facebook: "Loved it, saw Jay-Z Master Class story and it was awesome!" Evana wrote via Facebook: "I was never a faithful viewer of Oprah but I love the new channel." There was more than the new year to celebrate this past weekend as Oprah debuted OWN: The Oprah Winfrey Network. So far, reviews of the queen of talk’s cable network have been at both ends, some very positive, and others highly critical. Whether you love or hate the OWN Network in its infancy, the importance of the moment should not be lost, particularly for Black women. Oprah joins Radio One chairperson Cathy Hughes as the second Black woman to run her own cable network. She has also made Christina Norman, a Black woman, the CEO of her network. Here we have two Black women at the helm of programming at a network with some 85 million viewers. If that’s not a moment to celebrate, I don’t know what is. While we may not get shows explicitly geared to a Black demographic, chances are we’re not going to see programming that degrades or stereotypes Black women, like we see on other networks that claim to cater to us. I can live with that… at least until a young woman watching Oprah’s rise is inspired enough to want to follow in her footsteps and someday create her own media empire that wholeheartedly represents us the way we’d like. Even then, we’ll know who opened the gates for her. What do you think of OWN so far?